Just a short post on the blog today to say that my paper in the journal Industrial Biotechnology, “Pathways to Obtain Regulatory Approvals for the Use of Genetically Modified Algae in Biofuel or Biobased Chemical Production” (Industrial Biotechnology. April 2015, 11(2): 71-83. doi:10.1089/ind.2015.1503), has been published and is now available online. You can access the article here on the journal’s website, or please contact me if you’d like to receive a reprint. By the way, this subject will also be discussed in one of the two papers I’ve had accepted for breakout session presentations at this year’s BIO World Congress on Industrial Biotechnology. In addition to a paper on regulation of genetically modified algae, I will also be presenting a talk analyzing whether the existing biotechnology regulatory frameworks are sufficient to cover products developed using synthetic biology. This year, the World Congress will be held in Montreal, July 19-22, 2015. I’ll post more on the World Congress and my presentations when the date gets closer. “Regulation and Risk Assessment of Engineered Algae” (Summary of my plenary talk at the 2014 Algal Biomass, Biofuels, and Bioproducts conference), July 9, 2014. “EPA Regulation of R&D Use of Genetically Modified Algae: Contained Structures and TERAs”, November 4, 2013. “Risk Assessment and Regulation of Open-Pond Use of Genetically Modified Algae”, November 1, 2013. “International Regulations Governing the Use of Algae or Cyanobacteria in Fuel or Chemical Production” (introduction to a series of posts corresponding to a 2013 Algae Biomass Summit poster presentation), September 16, 2013. “Regulations Affecting the Use of Genetically Modified Algae for Biofuel Production”, June 9, 2010. D. Glass Associates, Inc.is a consulting company specializing in government and regulatory affairs support for renewable fuels and industrial biotechnology. David Glass, Ph.D. is a veteran of over thirty years in the biotechnology industry, with expertise in industrial biotechnology regulatory affairs, U.S. and international renewable fuels regulation, patents, technology licensing, and market and technology assessments. He has formerly served as director of regulatory affairs for Joule Unlimited Technologies, Inc. More information on D. Glass Associates’ regulatory affairs consulting capabilities, and copies of some of Dr. Glass’s prior presentations on biofuels and biotechnology regulation, are available at www.slideshare.net/djglass99 and at www.dglassassociates.com. The views expressed in this blog are those of Dr. Glass and D. Glass Associates and do not represent the views of any other organization with which Dr. Glass is affiliated. 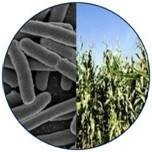 Please visit our other blog, Biofuel Policy Watch.